The Premiere Sailing League USA, structured after the enormously successful sailing leagues pioneered in Germany and Denmark (www.segelbundesliga.de; www.sejlsportsligaen.dk), announced today that special-edition J/70s and J/88s will be used for the series. The event starts with District Qualification Regattas using J/70s and moves on to the National Finals to be sailed in J/88s. 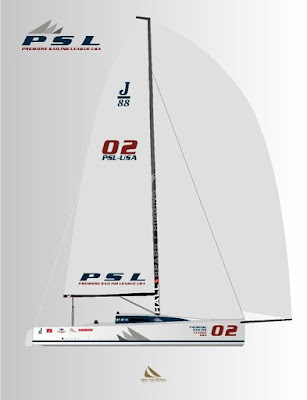 The J/70s and J/88s are built in the U.S. and their rigs will feature Hall Spars for the special-edition Premiere Sailing League USA boats. Harken, also synonymous with top performance in sailing, supplies hardware to superyachts and racing dinghies alike. "J/Boats, Hall, Harken…we are all international companies,” said Peter Harken, the company’s president. “Our customers rely on our gear to win all over the world. Deep down, I think it's great something like this is going to happen in the U.S. with American companies represented." 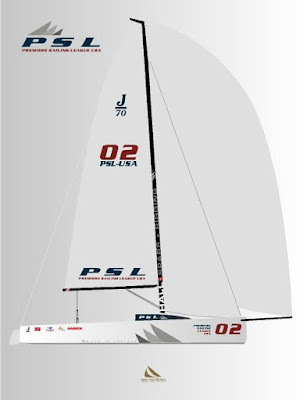 Designer of the new logo for Premiere Sailing League USA and the new “look” of the special-edition boats is Mac Designs, which has provided hull and sail graphics for some of the most memorable racing campaigns in recent history. 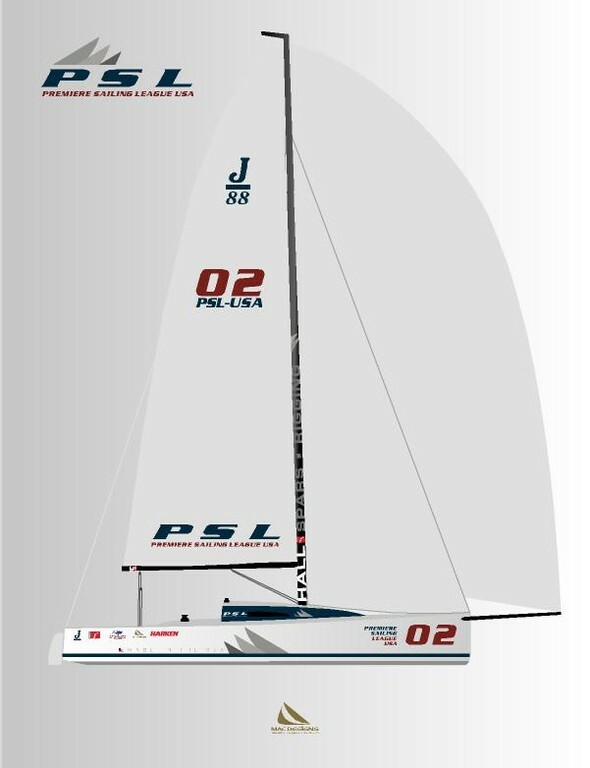 “Since the regattas will be held close to shore, have a stadium-style atmosphere and utilize the latest social media technologies, the visuals will be integral in allowing the sailing and general public to support and encourage their teams,” said Mac Designs President Bill MacGowan.